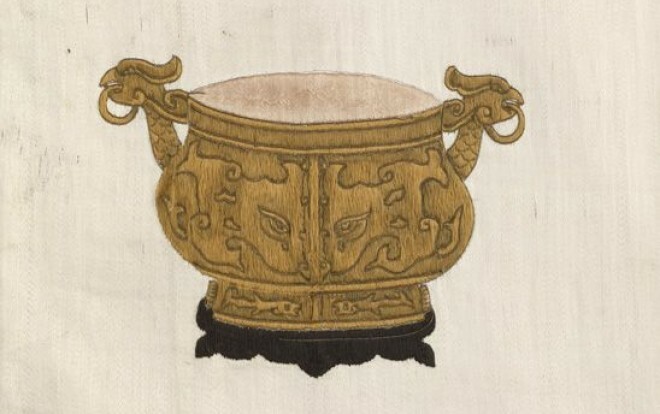 Embroidered in Guangdong style with flowers and antique vessels, worked in satin stitch using a restrained style. 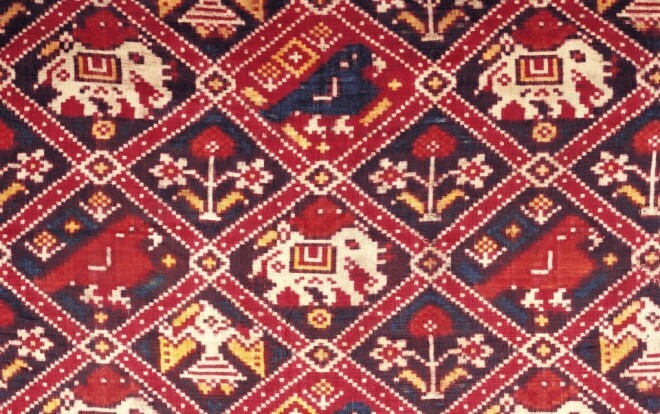 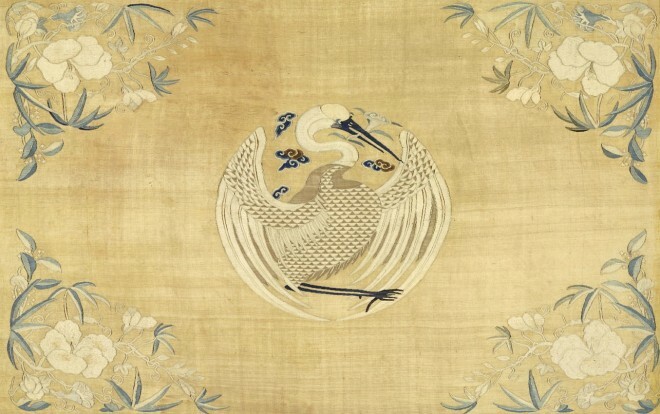 A silk kesi panel on yellow ground, the central medallion woven with a crane, emblem of longevity, bearing a ruyi-shaped (wish-fulfilling) fungus. 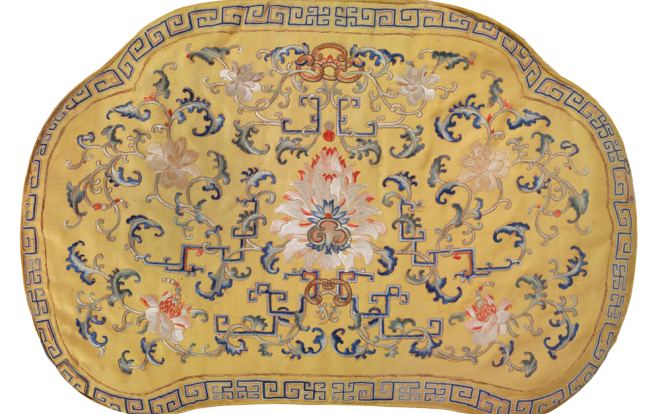 An imperial yellow silk cushion of ruyi-head shape. 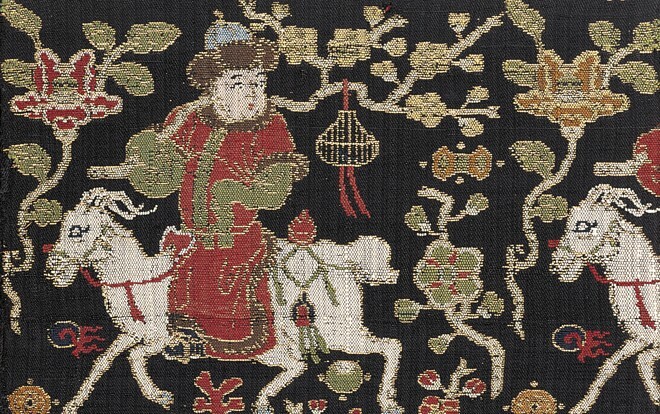 A black silk satin fragment, woven with a repeating pattern of boys riding goats.